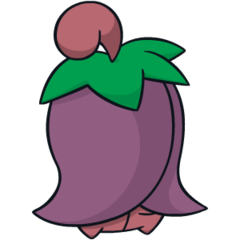 Note: Moves with a colored background receive STAB when used by this Pokémon. Powers up party Pokémon when it is sunny. X During times of strong sunlight, its bud blooms, its petals open fully, and it becomes very active. X Bei Sonnenschein entfaltet seine Knospe ihre Blütenblätter und es springt lebhaft umher. X Une fois gorgé de soleil, il déploie ses pétales et bouge avec vivacité. X Cuando los rayos de sol inundan su capullo, abre de par en par sus pétalos y se vuelve muy dinámico. X Sboccia quando si espone ai raggi solari, espandendo la corolla e diventando molto attivo. X 봉오리가 태양의 빛을 쬐어 꽃잎이 피면 활발하게 움직일 수 있게 된다. Y If it senses strong sunlight, it opens its folded petals to absorb the sun’s rays with its whole body. Y Spürt es Sonnenlicht, öffnet es seine Blütenblätter und nimmt die Energie der Sonnenstrahlen auf. Y Sous un grand soleil, il ouvre ses pétales pour en absorber les rayons. Y Cuando detecta luz solar fuerte, despliega los pétalos y absorbe todos los rayos posibles. Y Quando splende il sole, ama aprire i suoi petali per assorbire i raggi solari con tutto il corpo. Y 강한 햇살을 느끼면 움츠려 있던 꽃잎을 펼쳐 전신으로 햇빛을 받는다. 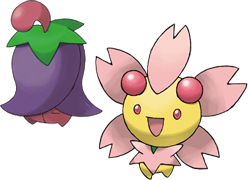 Omega Ruby If it senses strong sunlight, it opens its folded petals to absorb the sun’s rays with its whole body. Omega Ruby Spürt es Sonnenlicht, öffnet es seine Blütenblätter und nimmt die Energie der Sonnenstrahlen auf. Omega Ruby Sous un grand soleil, il ouvre ses pétales pour en absorber les rayons. Omega Ruby Cuando detecta luz solar fuerte, despliega los pétalos y absorbe todos los rayos posibles. Omega Ruby Quando splende il sole, ama aprire i suoi petali per assorbire i raggi solari con tutto il corpo. Omega Ruby 강한 햇살을 느끼면 움츠려 있던 꽃잎을 펼쳐 전신으로 햇빛을 받는다. Alpha Sapphire During times of strong sunlight, its bud blooms, its petals open fully, and it becomes very active. Alpha Sapphire Bei Sonnenschein entfaltet seine Knospe ihre Blütenblätter und es springt lebhaft umher. Alpha Sapphire Une fois gorgé de soleil, il déploie ses pétales et bouge avec vivacité. Alpha Sapphire Cuando los rayos de sol inundan su capullo, abre de par en par sus pétalos y se vuelve muy dinámico. Alpha Sapphire Sboccia quando si espone ai raggi solari, espandendo la corolla e diventando molto attivo. Alpha Sapphire 봉오리가 태양의 빛을 쬐어 꽃잎이 피면 활발하게 움직일 수 있게 된다. Diamond It blooms during times of strong sunlight. It tries to make up for everything it endured as a bud. Pearl It is docile as a bud, but turns cheerful when it blooms. It folds back into a bud if sunlight wanes. HeartGold During times of strong sunlight, its bud blooms, its petals open fully, and it becomes very active. SoulSilver During times of strong sunlight, its bud blooms, its petals open fully, and it becomes very active. Black If it senses strong sunlight, it opens its folded petals to absorb the sun's rays with its whole body. White If it senses strong sunlight, it opens its folded petals to absorb the sun's rays with its whole body. Black 2 If it senses strong sunlight, it opens its folded petals to absorb the sun’s rays with its whole body. White 2 If it senses strong sunlight, it opens its folded petals to absorb the sun’s rays with its whole body.